I found yet another yummy recipe from homesweetjones.com! I am a recreational coffee drinker (is that a thing? it’s a thing.) and I have been dying without a good creamer to put in my coffees. I haven’t found any creamers that are plant-based, using unrefined sugar (or preferably omitting sugar entirely), and oil-free. At least, I haven’t found any creamers from the ones I’ve looked at so far. 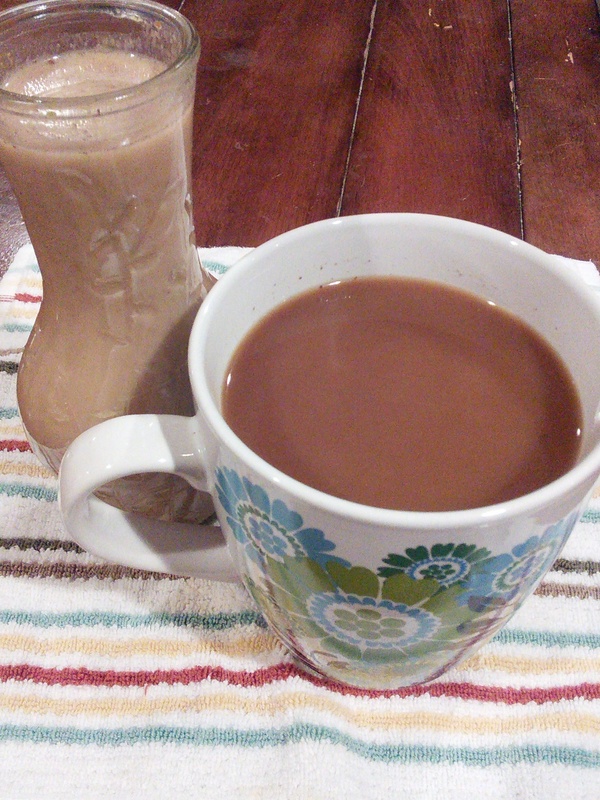 Imagine my happiness when I stumbled upon a pumpkin spice creamer recipe! And it’s simple! Yay! The original recipe calls for whole spices (whole cloves etc.) but I don’t keep those stocked, so I replaced them with ground/dried spices. It does leave a small residue in the cup, but it’s difficult to really skim it out with the thick pumpkin pureed into the mix. 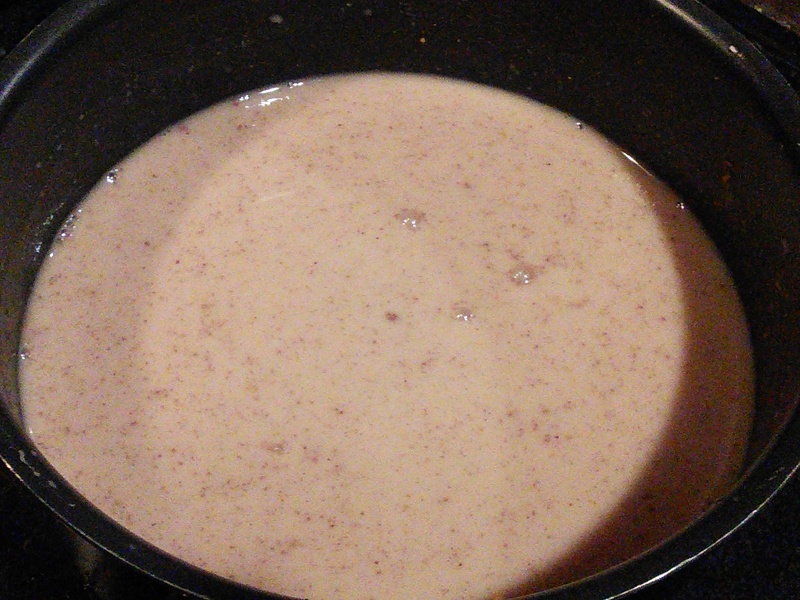 So, either use whole spices and avoid the small mess in your cup, or use ground spices and decide you don’t care! Warm milk over low heat. Whisk in the maple syrup, pumpkin puree, and spices. Simmer over low heat for about 20 minutes. Remove the whole spices, or skim the top with a mesh strainer to remove as much of the ground spices as possible. Add a splash of vanilla to make pumpkin spice coffee! According to the original recipe this will last up to a week in a refrigerated air-tight container. Yes, I put my pumpkin creamer in a salad dressing jar. Don’t judge me.